Coolest Homemade Cow Birthday Cake for my 37 Year Old Son! 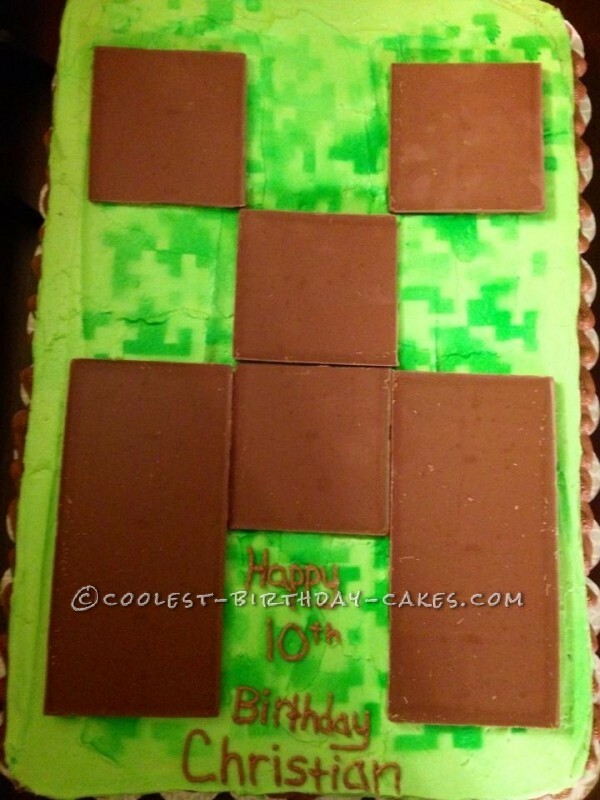 If you have a 10 year old, chances are you’ve heard of MINECRAFT. However, finding birthday party decorations and/or favors is next to impossible. Most moms will try to come up with their version of MINECRAFT for their 10 year old and I am no exception. My son requested a Creeper cake and I searched high and low for something I can make that wouldn’t require an Internship with Martha Stewart. 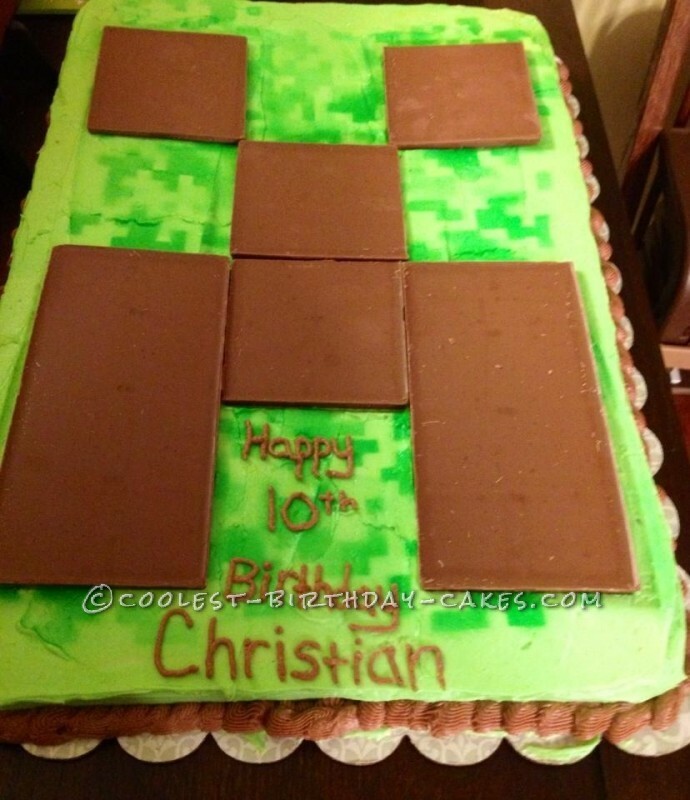 I found a few ideas and I combined them to create this mom’s version of MINECRAFT. MINECRAFT is in extreme low definition and exagerated pixels therefore everything is square. I created a template using graph paper and cut out a random pixel pattern. I used color mist to airbrush the pattern. I over lapped some areas to create a darker shade of green thereby giving various shades of green pixels. I used 4 Ghiradelli milk chocolate candy bars to create the face on a sheet cake.